Just as the artist feels inspired to polish a creation to make it even more beautiful, or caresses the most tender and soft colors on canvas, or as the musician seeks the most uplifting and expressive tunes to reflect and gift back the perfection of the Divine Creator in their music, we feel the same motivation to glorify the Creator with our works. Once the Celestials reminded us that perfection is the virtue of the Creator and not of humans. As humans, it is necessary to strive for perfection to create truly good and valuable things, and yet, as humans we must accept mistakes and imperfection as well. “The Mystery of Accepting Mercy” is a meditation path that is particularly precious and important to us – certainly because of our own spiritual codes. That is why we offer a second release of this meditation; a further polishing of this work, to make it even more expressive and effective. We deeply believe that one of the greatest healing powers in the universe lies in Grace, and so the greatest self-healing power lies in the cathartic experience of accepting this grace. If we are able to entrust ourselves to the embracing arms of grace and let the universal glory of forgiveness flood our hearts, deep karmic burdens and repetitive pain cycles that we have been carrying for many lifetimes can dissolve at last from our beings. That’s why the key to the special healing methods we created as part of the Lemurian healing mysteries and the 13 paths of Astro-cosmogenesis lies in the transmission and revelation of the Mystery of Mercy. Mercy is a Divine quality that runs through the created universe like a river. The waters of this river are forgiveness and love, and forgiveness and love carry the force of Grace which, if received, can deliver redemption. Redemption is the turning over, the healing, transformation, the thrust that can clear the log jam of karmic knots held in our soul and restore flow and life and vitality. To make this catharsis available to more people in a more beautiful, even more heart-stirring and uplifting renewed form, we have released this ever beautiful guided meditation again. “This wonderful spiritual journey takes us into a sanctuary where we can most honestly turn to that part of our soul which in the past experienced a rebellion, falling, mistake, some failure or lapse. As we are simply unable to forgive ourselves for this, it has become the invisible motive behind the endless chain of penance in our subconscious. The moment has come however, when at last, the spiritual path can be opened through which we can forgive ourselves. 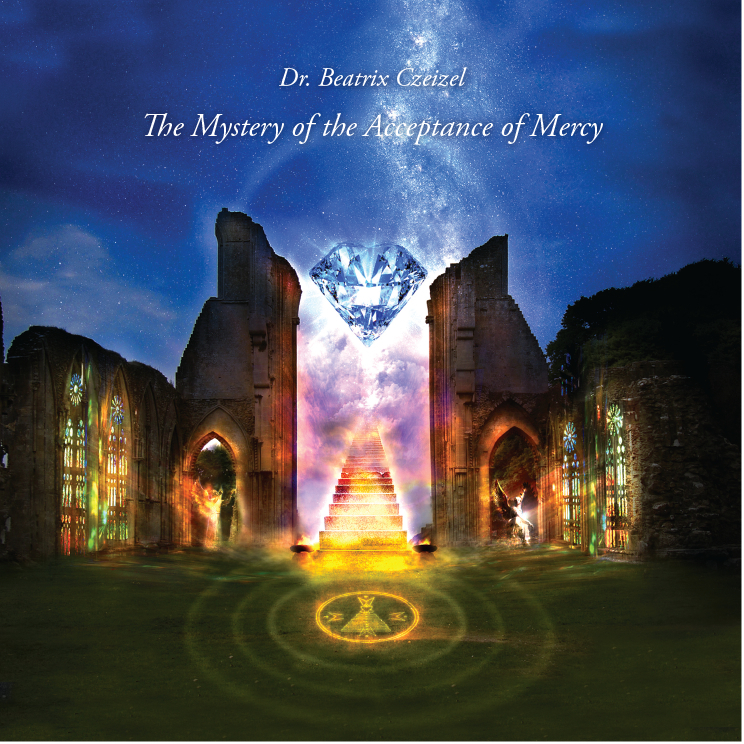 Surrounded by heavenly lights, and the instructive guidance of this guided meditation, we can experience the deep spiritual catharsis of the acceptance of Mercy and open to forgiving ourselves for our transgressions.